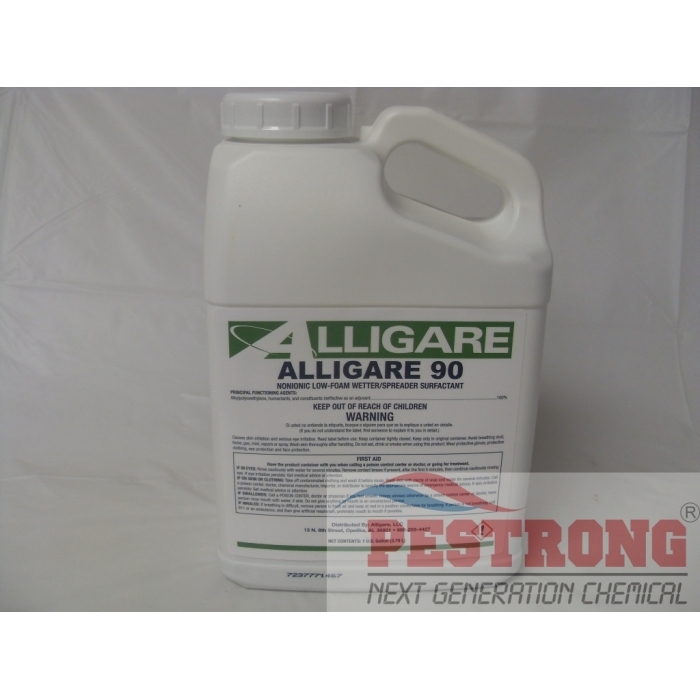 Where to Buy Alligare 90 Surfactant, Alligare 90 Nonionic Wetter Spreader Surfactant 90/10 - Gallon - $26.95 for Sale with Fast Free Shipping! 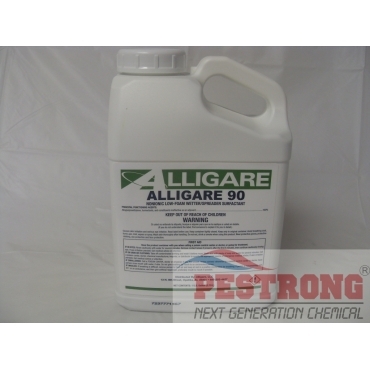 Alligare 90 Nonionic Wetter Spreader Surfactant 90/10 - Gallon is a general purpose nonionic low-foam surfactant, used to enhance spreading and coverage of sprays. It may be used with various insecticides, fungicides, herbicides, PGR and nutrients at rates determined by pesticide label and field experience. FOR : Reducing the surface tension of water to insure more uniform coverage and penetration of weed killer. Utility ROW and roadside foliar : 1/2 pt. - 2 qt. Aquatic - surface : 1/2 pt. - 2 qt. Aquatic - submerged : 1 - 2 gal. Agriculture / Citrus / Turf : 1/2 - 4 pt. Utility ROW and roadside foliar 1/2 pt. - 2 qt. Aquatic - surface 1/2 pt. - 2 qt. Aquatic - submerged 1 - 2 gal. Agriculture / Citrus / Turf 1/2 - 4 pt. I used this surfactant along with Tenacity Herbicide. Tenacity itself is very effective, but using that with this product, the results are fantastic. It cleans out things that can slow the herbicides effectiveness. Using this is so much more cost efficient. You use less herbicide than you normally would and will get better results.